India's right to information (RTI) activists, in close coordination with those of the Jammu and Kashmir (J&K) state, have made a strong plea for the “transfer”, and not "buyback", hydro power projects put up in J&K to the state, and greater transparently in supplying power to other states. 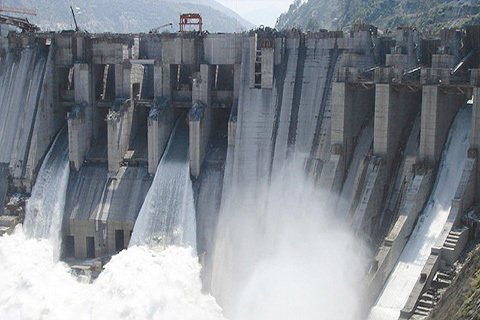 Referring to a memorandum of understanding (MoU) signed by the then Chief Minister of J&K and the then Minister for Power in the Central Government, Nayak says, it referred to “transfer” of seven hydel projects -- Kishanganga, Uri-II, Bursar, Sewa-II, Pakal Dul, Nimmo Bazgo and Chutak -- to NHPC, in order to "exploit the large power potential in the state". “The purpose of the transfer is to enable NHPC to 'execute these projects over a period of 10 years', in phases so that their implementation would help the State in its overall development apart from 'meeting its winter peak requirements of electricity'”, notes Nayak. “The installed capacity of these projects is said to be a little more than 2,000 megawatts. Nearly 40% of the hydel power generated by NHPC projects across the country flows from J&K”, he says. “J&K RTI Movement calls on the J&K govermment under Mehbooba Mufti’s leadership to protect the interests of the State better, by negotiating vigourously for the handing over (and not buyback) of the hydel projects to J&K”, he says in a statement.